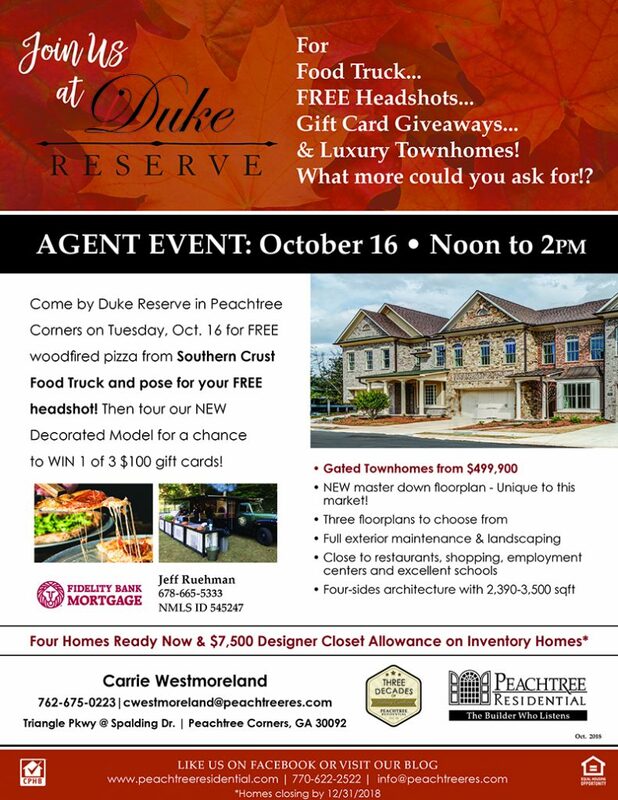 We have a new Peachtree Residential Design Center. (By appointment only) PEACHTREE-TAILORED FOR YOUR PERSONAL STYLE! One of the most exciting things about building or buying a new home is decorating the interior. Once again, Peachtree is right there with you, helping you every step of the way. Our Professional Design Services provide you with all sorts of inspiring choices – from carpet and tile to countertops, appliances and more. Every new homeowner receives personal consultations with Peachtree’s expert interior designers at the Peachtree Design Center. Here, you receive focused, individual assistance in selecting flooring, cabinetry, fixtures, appliances, paint colors, countertops and countless other dream home features. Learn more about the new Peachtree Residential design center, available new homes and Peachtree neighborhoods to build your new dream home. Click here to watch a short video as featured on Atlanta’s Best New Homes FOX 5 TV. Peachtree Residential has been building new homes for 30 years in Atlanta and Charlotte. Watch a quick video of Canton Street Commons featured on Atlanta’s Best New Homes TV here! Click here! 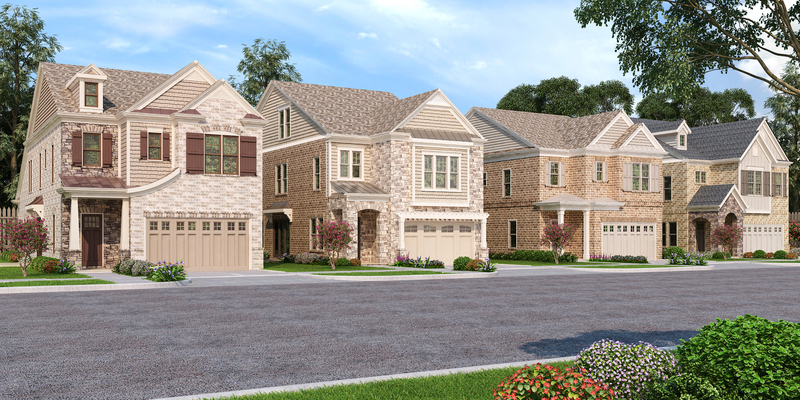 Canton Street Commons is our brand new neighborhood located in the highly sought after downtown Alpharetta location. Upon completion we will have 19 City homes priced from the high $700’s and 9 luxury townhomes priced from the high $500’s. We just completed out first home that is for sale and we will have another home ready to close by year end. The new homes are designed in Old World Architecture in keeping in line with the historical context of downtown Alpharetta’s Garden District. The neighborhood will have sidewalks, streetlights, and a natural passive common Area with benches. It is the perfect location to be close to it all in downtown Alpharetta! You would be able to walk to city hall, restaurants, library, local shops, town green & the 5 acre park. There are also plenty of local events you could walk to including the farmers market, food truck alley, taste of Alpharetta, concerts and so much more. CSC is also just minutes to Avalon with shopping, dining and activities galore. The unique location allows for quick access to Hwy 9, Old Milton Parkway, and GA 400. The top schools for the neighborhood include: Alpharetta Elementary, Hopewell Middle School & Cambridge High School. We have sold several homes already! Homesite 18 which is the completed city home and priced at $779,900. It is a three story, four sides brick, two car garage. It is 4 bedrooms and 4.5 bathrooms. It is an open floor plan with gourmet kitchen, family room and dining room. There are 8 foot sliding doors that open to the private court yard. The home has the highest level of standard features including 3 inch site finished hardwood floors, granite countertops in all rooms, stainless steel kitchen aid appliances including double ovens, a drop zone, butler’s pantry, painted or stained 42 inch kitchen cabinets, open tread oak staircases, and this home has the optional third story retreat with full bath & closet. This home is also framed for a future elevator. 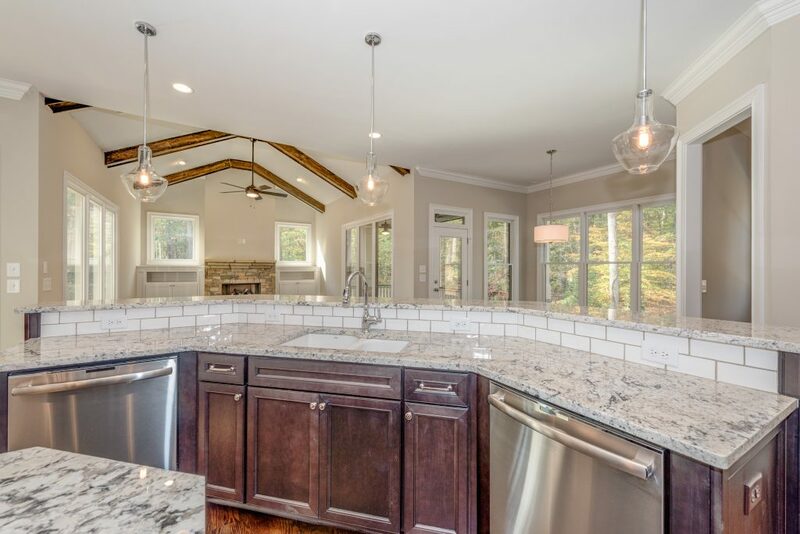 Peachtree Residential, one of Atlanta’s premier home builders since 1988, is seeking a Builder/Project Manager for new home communities in North Atlanta. Visit www.peachtreeresidential.com for company information. Please email info@peachtreeres.com with resume. 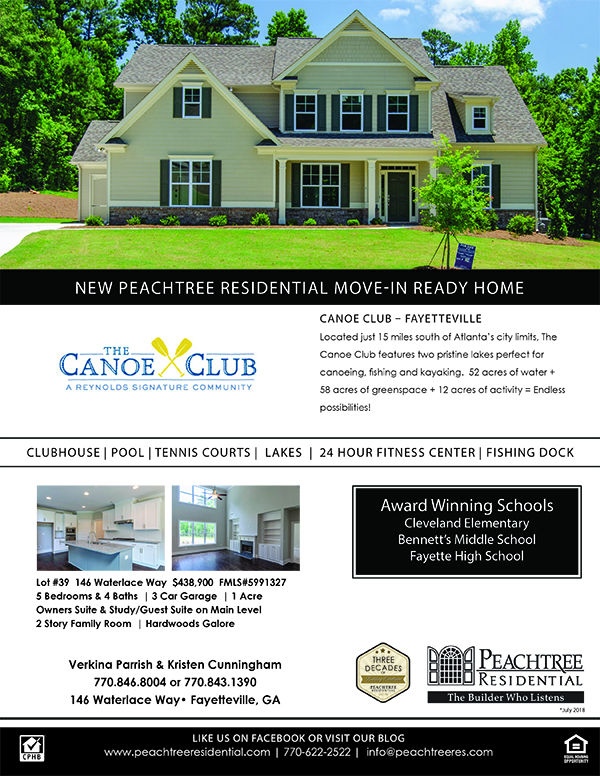 Peachtree Residential has a move-in ready home in Canoe Club in Fayetteville! Only $438,900 Great floorplan with owners suite on main and guest suite! Beautiful one acre homesite. Stunning kitchen and breakfast room are open to 2 story Family Room. Hardwoods in family room, kitchen , & dining room . Granite kitchen w/ backsplash & large island. Upgrade stainless appliances. Amenities galore in the neighborhood: Pool, tennis, 24hr fitness center, clubhouse, 2 lakes, fishing dock, canoe storage. Have you seen this awesome neighborhood? Perfect place to live all year round, but especially SUMMER! Located just 15 miles south of Atlanta’s city limits, The Canoe Club features two pristine lakes perfect for canoeing, fishing and kayaking. 52 acres of water + 58 acres of greenspace + 12 acres of activity = Endless possibilities! Rick Bennett was the BIG winner at the 2018 Peachtree Corners Festival last weekend. 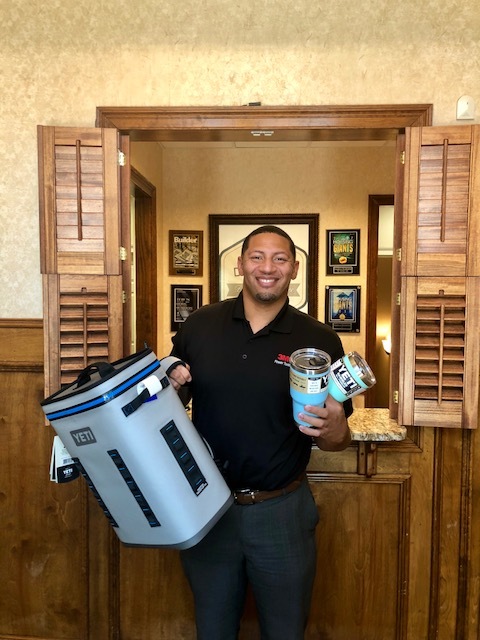 He stopped by the Peachtree Residential booth and was the lucky winner of the Yeti backpack and 2 big Yeti Ramblers. Congratulations Rick! Enjoy from Peachtree Residential New Homes! Owning a Home is Still the American Dream….Peachtree Residential has several new homes move-in ready in great locations. Click here to learn more about the homes available. Click here to learn more that was posted on Atlanta Real Estate Forum. ATLANTA — Peachtree Residential is excited to celebrate its 30th anniversary on May 23, 2018 with more than 4,500 homes constructed throughout Atlanta and Charlotte. Founded in 1988, the builder prides itself on building high integrity, exceptional new homes in prime locations while also providing superb customer service. Peachtree Residential currently has eight new home communities in Atlanta and seven in Charlotte including cityhomes, townhomes and regular single-family homes. Atlanta communities are located throughout Fayette, Forsyth, Fulton and Gwinnett counties while Charlotte-area communities are located in Iredell, Gaston, Mecklenburg and Union counties. Communities from Peachtree Residential are located within top-rated school districts and offer low-maintenance lifestyles to accommodate both growing families and empty nesters. The luxury builder uses the highest-quality products and finishes to create a unique living environment for each homebuyer. Additionally, in an effort to better serve homebuyers looking to add their own style to their new home, the Peachtree Residential design center is slated to receive its own assortment of upgrades. 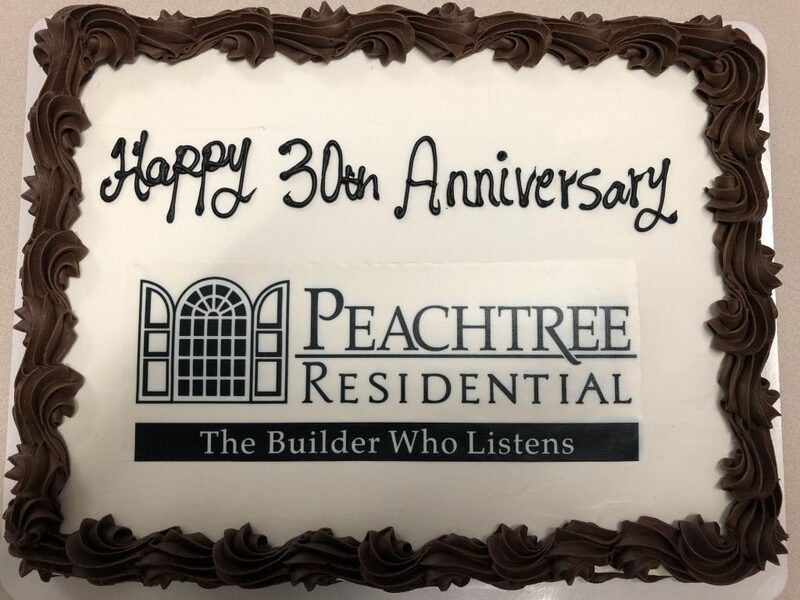 In observance of 30 years in homebuilding, Peachtree Residential would like to give a special “thank you” to its Customers and devoted Employees, many have which have been with the company for 10 to 25 years. We would also like to thank our numerous helpful Vendors, Contractors and our Financial Service Partners, many of which have been with Peachtree for over 25 years. To learn more of the builder and new home opportunities in Atlanta and Charlotte, visit www.PeachtreeResidential.com. 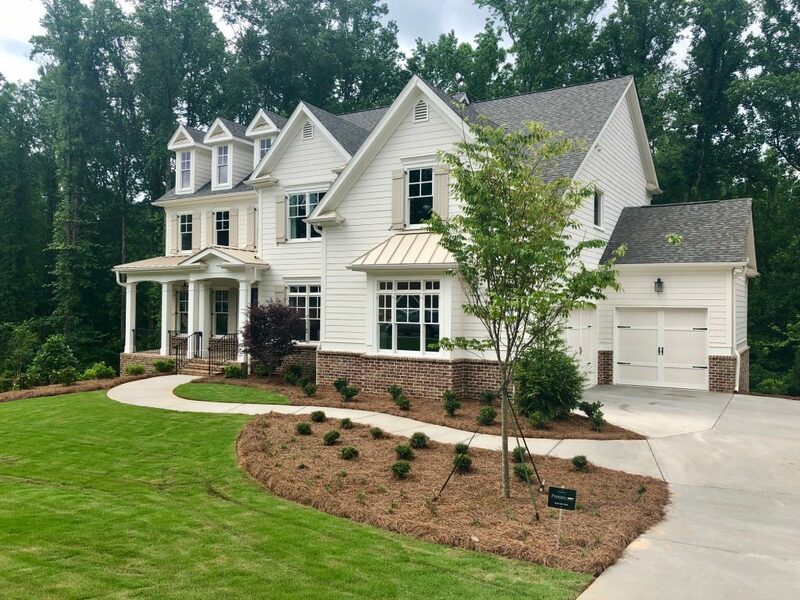 Peachtree Residential was founded in 1988 with a commitment to build quality homes with meticulous craftsmanship, custom designs and thoughtful touches. Building homes only in the most desirable locations, Peachtree Residential is among Atlanta’s and Charlotte’s premier luxury builders. The company prides itself on offering design flexibility and Peachtree tailoring, enabling homes to be individualized to each buyer’s personal style. 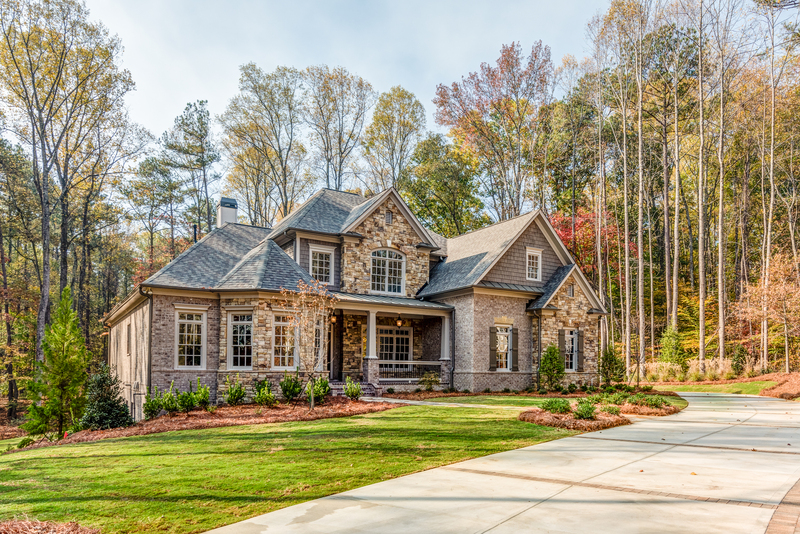 In fact, the company has earned a reputation as “The Builder Who Listens.” A certified professional home builder, Peachtree Residential ensures that every home meets the “Foundation to Rooftop” Gold Standard of Approval. Excellence is something that will never change at Peachtree Residential. For more information, visit www.PeachtreeResidential.com. U.S. News and World Report has ranked Georgia 18th among states for the percentage of schools making the “Best List”! Gwinnett County, the state’s largest school district, had 10 schools on the list. Cobb County had 8 schools Fulton had 7 and DeKalb 4 and Clayton 2. U.S. News evaluates more than 20,500 public high schools nationwide! Top-ranked schools succeed in three main areas: exceeding expectations on state proficiency tests, offering challenging coursework and graduation their students. Peachtree Residential is excited to welcome a new Sales Manager to the Peachtree team! Carrie Westmoreland is selling the new luxury townhomes at Duke Reserve in Peachtree Corners. It is a gated neighborhood that is in a perfect location. 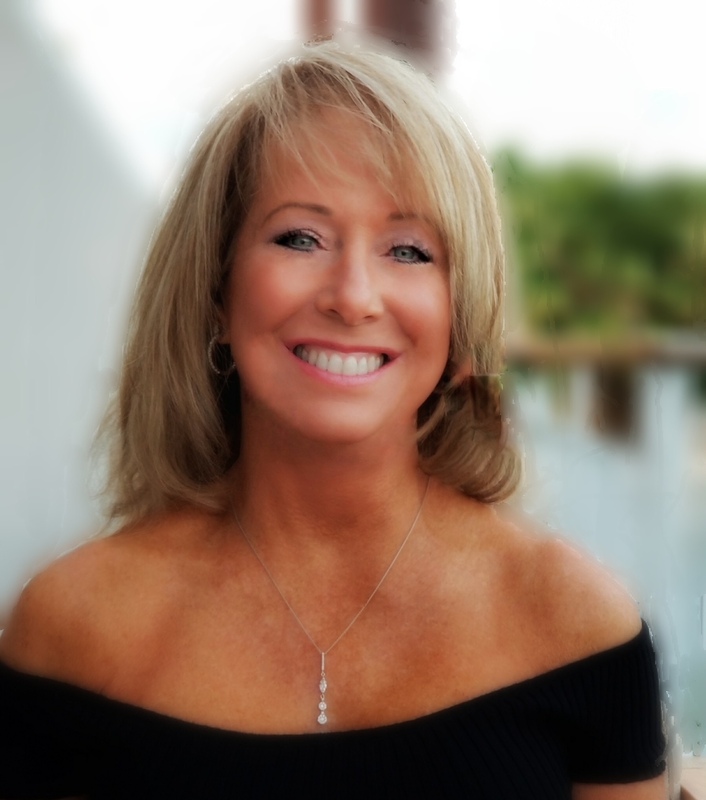 She is from Panama City Beach, FL where she started her real estate career. She graduated from Gulf Coast State College. She is married and has four children. Her husband was in the Air Force and was stationed in New Jersey, Delaware, Oklahoma, and Florida. When not selling Real Estate she love spending time with family, cycling, hiking, and traveling.